An armed woman was taken into custody Monday following a standoff with police that initially started when the woman became upset over a parking situation, according to police. Bob Redell reports. 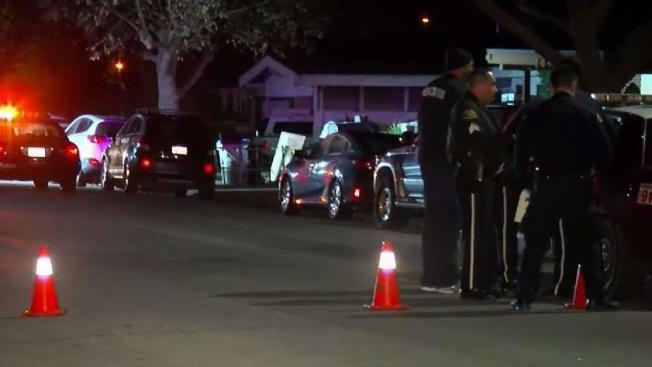 An armed woman was taken into custody Monday following a standoff with San Jose police that initially started when the woman became upset over a parking situation, according to police. Nearby residents were forced to evacuate, but the standoff finally came to a close several hours after it began when the woman surrendered, police said. Officers first responded to calls about two people fighting along the 3300 block of Holly Drive just before 6 p.m. on Sunday, according to police. Neighbors told officers that the woman was upset over some type of parking issue. At one point, the woman grabbed a gun, walked outside and waved it at neighbors, police said. Following the lengthy standoff, the woman eventually surrendered, according to police. She was arrested for brandishing a weapon and being a felon in possession of a gun. She was booked into the Santa Clara County Jail.